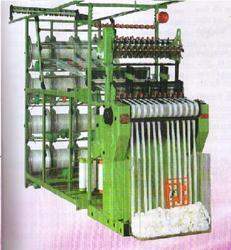 Prominent & Leading Manufacturer from Faridabad, we offer needle loom machine. Deepak Enterprises offer a wide range of high speed automatic Needle Loom Machine that are manufactured by Needle Loom. It is a high-end quality offered by us for light and medium heavy elastic and rigid tapes. 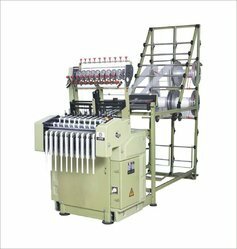 The machine was launched in year 2003 & was grabbed up by the elastic and heavy PP tape market-owing to its superb fusion of state of the art technology and latest innovation of is take-up, picking and shedding mechanisms. A heavier sturdier, long life and virtually maintenance free, high speed machine-Diamond series puts you in total control of the economy, productivity and quality of your manufacturing operations. We are engaged in offering Needle Loom Machine, which is being used to weave cloths. The purpose of any loom is to procure the warp & hold threads with tension. As in result we found this loom for interweaving of the weft threads.